Singapore Team at IYPT 2017. 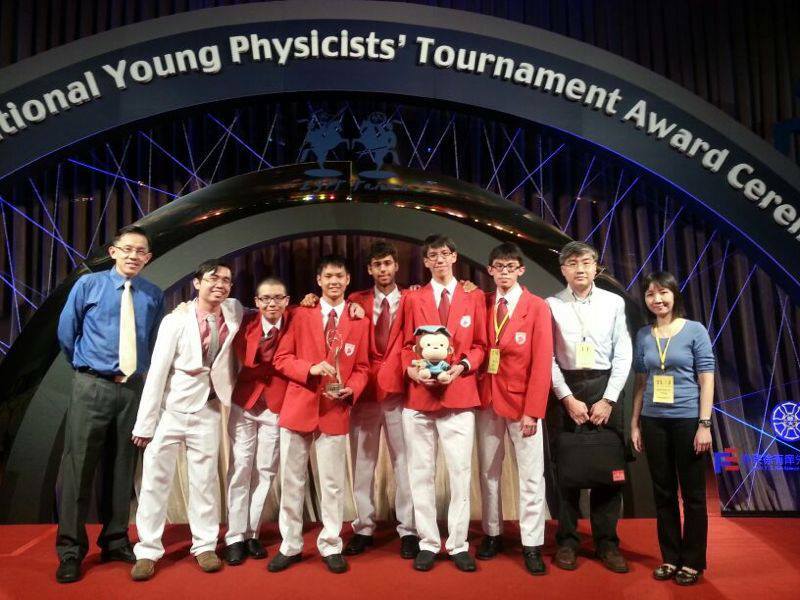 Competing against 29 countries, the Singapore team clinched the 1st position and was awarded the gold medal at this year’s International Young Physicists' Tournament (IYPT) at the National University of Singapore (NUS), Singapore. Held from 6 to 13 July, Singapore is the only country to have been placed first in the competition for fifth consecutive years. The Singapore team comprised Markus LENDERMANN and LI Kang ChEN from NUS High School of Mathematics and Science, and WANG Huaijin, Rachel PANG Qing and FU Xinghong from RaffIes Institution. Singapore Team at IYPT 2016. 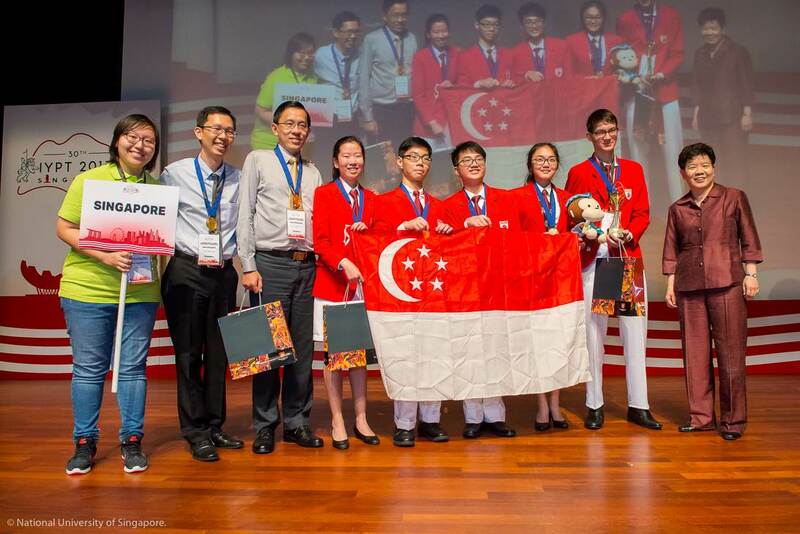 Competing against 29 countries, the Singapore team clinched the 1st position and was awarded the gold medal at this year’s International Young Physicists' Tournament (IYPT) in Ekaterinburg, Russia. Held from 26 June to 3 July, Singapore is the only country to have been placed first in the competition for four consecutive years. 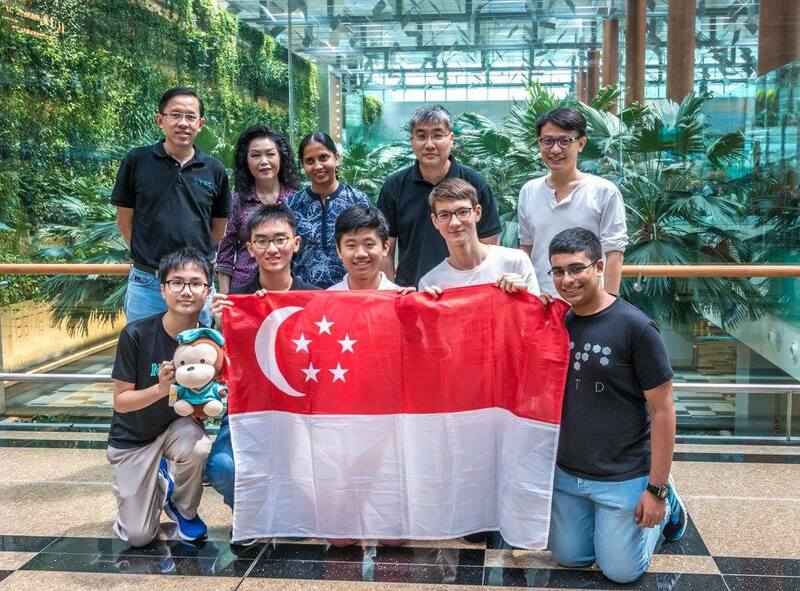 The Singapore team comprised Wittmann Goh Ghin Fong (team captain), Lim Jun Heng and Muzammil Arif Din S/O Abdul Jabbar from Raffles Institution and Lendermann Markus Paul Zhi-Guang and Li Kang Chen from NUS High School of Mathematics and Science. The team was led by Dr Yeo Ye from the Department of Physics, National University of Singapore, Mrs Lim Siew Eng from Raffles Institution, Mr Leong Tze Kwang from the Ministry of Education, Mr Daniel Mark Keat Kay and Mr Pay Shieu Ming Daryl, coaches and ex-IYPT participants. Singapore Team at IYPT 2015. The Singapore team clinched the 1st position in a field of 27 countries and was awarded the Gold medal at the 28th IYPT held in Nakhon Ratchasima, Thailand, from 27 June to 4 July 2015. Singapore is the first country to be running champions for three consecutive years. The Singapore team comprised Koh Jin Ming from NUS High School of Mathematics and Science, as well as Shen Yu Jun, Lee Yu Tse, Wittmann Goh Ghin Fong and Lim Jun Heng from Raffles Institution. The team was led by Dr Yeo Ye from the Department of Physics, National University of Singapore, Mr Sze Guan Kheng from Raffles Institution, Ms Tan Joy from the Ministry of Education and Mr Huan Yan Qi, coach and ex-IYPT participant. Singapore Team at IYPT 2014. 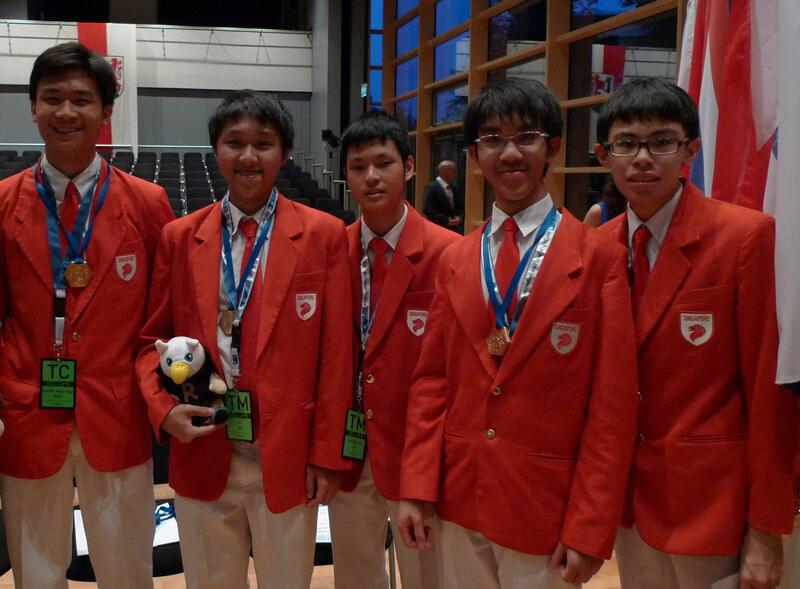 The Singapore team clinched the 1st position in a field of 28 countries and was awarded the Gold medal at the 27th IYPT held in Shrewsbury, United Kingdom, from 3 to 10 July 2014. 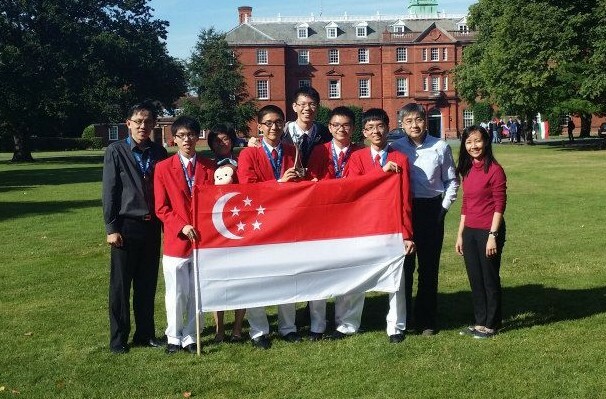 The Singapore team comprised of Phyllis Poh Hui-Li and Joel Tan Shi Quan from NUS High School of Mathematics and Science, as well as Li Bingjian, Tan Yan Quan and Shen Yu Jun from Raffles Institution. The Singapore delegation was led by Dr Yeo Ye from the National University of Singapore (NUS), Mr Sze Guan Kheng from Raffles Institution and Ms Joy Wong, Curriculum Planning Officer from MOE. Singapore Team at IYPT 2013. 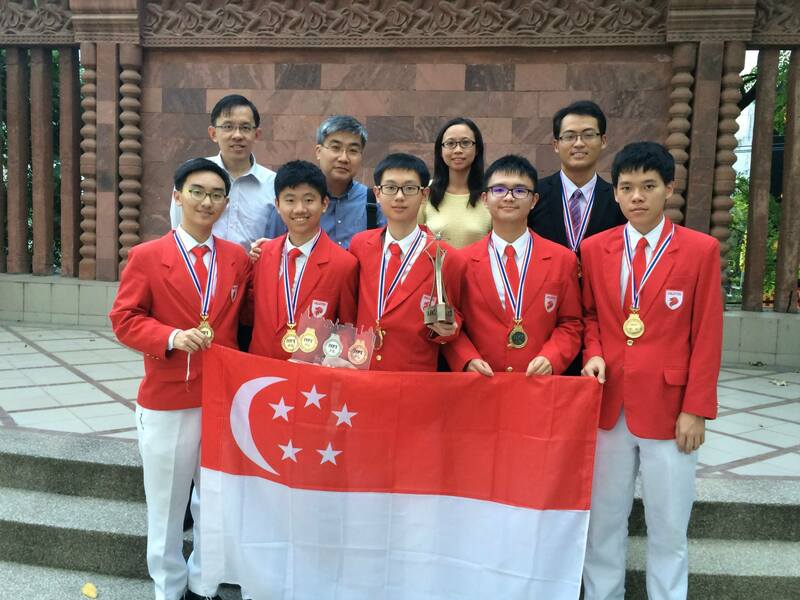 The Singapore team clinched the championships and was awarded the Gold medal at the 26th IYPT held in Taipei, Taiwan, from 24 to 31 July 2013. The Singapore team comprised Nishant Verma from Anglo-Chinese School (Independent), Chik Cheng Yao from Hwa Chong Institution as well as Chan Jau Tung, Jee Kai Yen and Lim Yong Hui from Raffles Institution. The team was led by Dr Yeo Ye from the National University of Singapore, Mr Sze Guan Kheng from Raffles Institution, Mr Lee Jie Liang, and Ms Wong Kah Wan Joy, Curriculum Planning Officer from the Ministry of Education. Singapore Team at IYPT 2012.